Our business translations are always provided by specialist translators. As a result of the current economic climate, a business translation takes special relevance for companies looking to expand their enterprise into new markets. Translations can enable companies to financially deal with global trade changes. To keep business flowing continuously, many companies have decided to extend their reach far beyond already established markets, such as the EU, in favour of markets further afield, particularly the emerging ones. Such new circumstances mean that businesses will have to begin incorporating different languages into their negotiations, because of their demand during potential overseas operations. Effective communication is imperative for both company reputation and image. Regardless of the languages involved, Optilingua provides exactly what is needed for effective and professional business translations. 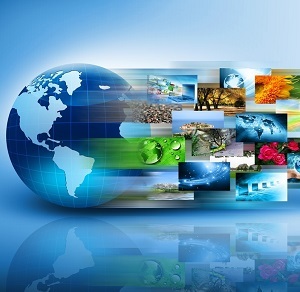 International businesses require a variety of communication tools in this technological age, such as websites, leaflets, catalogues, videos, and company presentations. All business types including importers, exporters, retailers and manufacturers, incorporate these methods into daily business activities such as marketing and customer relations. We find ourselves in a more globalised environment, meaning that companies require professional translation services on a consistent basis to ensure that their businesses are competitive. International firms must focus on market localisation, which includes the need for businesses to adapt both internally and externally. Optilingua’s large network, offering translation services in over 100 languages, will always be available to handle your projects such as, product manuals, staffing contracts and business agreements, as well as providing you with a professional graphic design service. Your success overseas will rely heavily on how adequate your foreign language communications are. Optilingua’s expertise in the field of business translation will be the key to your businesses success. No matter how complex the requirements or the outline of your project's scope, we can ensure all of your requirements are met. You’ll be surprised at the speed and professionalism of our service! You can also visit our FAQs Page for more assistance.